WhatsApp, Facebook Messenger has lot of features. A major one in that is read receipt feature: sender can know when a message is delivered to you and when you have read it. In WhatsApp its indicated by double tick (receiver has received the text) and blue double tick (receiver has read the text). This can be disabled so that the sender does not get to know whether you have read it or not but this will disable it for all users and for you as well. You will no longer be able to know if other person has read your messages. There are few ways to read the incoming texts without sender knowing about it. One way is to disable mobile internet and then open messenger, whether WhatsApp, Hangout or Facebook, and open and read the texts, close the app and enable internet back. This will not give any notification to sender that you have read their texts. Unfortunately, the above approach has few problems. For one, it’s tiresome to do the process of disabling internet, read and enable internet every time. And most importantly if the other person deletes the message you will not be able to know what exactly he/she had sent which made him/her delete it, making you even more curious. There is one simple solution to this. An android app called ‘Chat Message Tracker‘. Its Available in Google Play Store. It records all incoming notification and saves a copy. Any incoming message can be read by opening it. You can ask the app to track all chat messengers or only specific messenger texts in app settings. Next time you get texts from someone and you want to read without notifying the sender all you have to do is just open the app and read the text in it. And as a bonus it will even save messages that are deleted by sender. You can just use the app to read the deleted messages. Another feature of this app is, you can read all incoming texts even when the mobile is not with you. 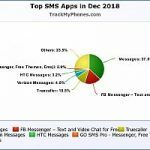 You can login to website http://TrackMyPhones.com/cmt/ and pull all the chat message texts, read it online and clear it or just leave it there as a backup. As the app eats very less battery this is one useful app to be in the phone to handle any untoward incidents with chat messaging.